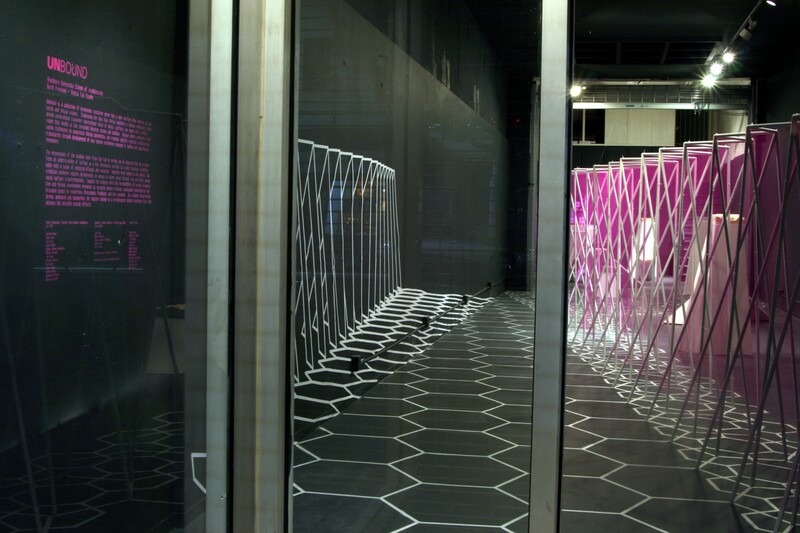 Unbound is an installation and exhibition stemming from a digital fabrication studio taught by David Freeland at Woodbury University. 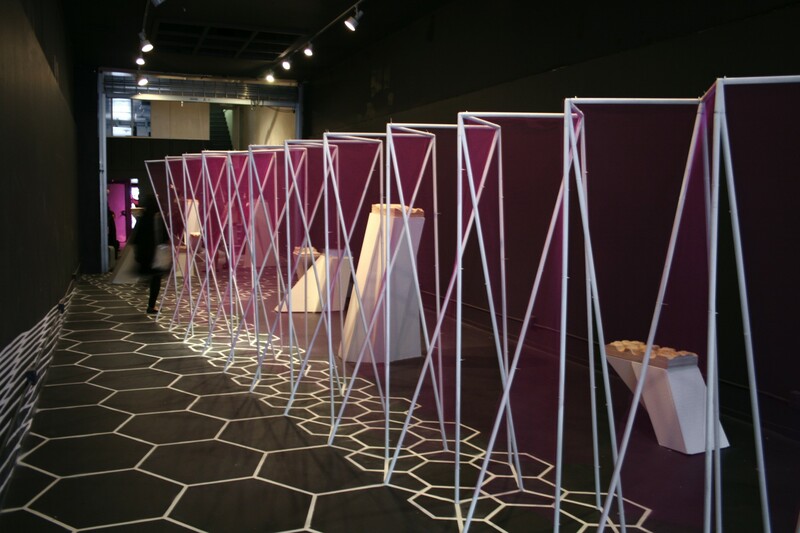 Challenging the idea that digital modeling is without substance, the student projects and their installation transport conventional ideas of object, surface, and space into a digital realm at the threshold between design and building. 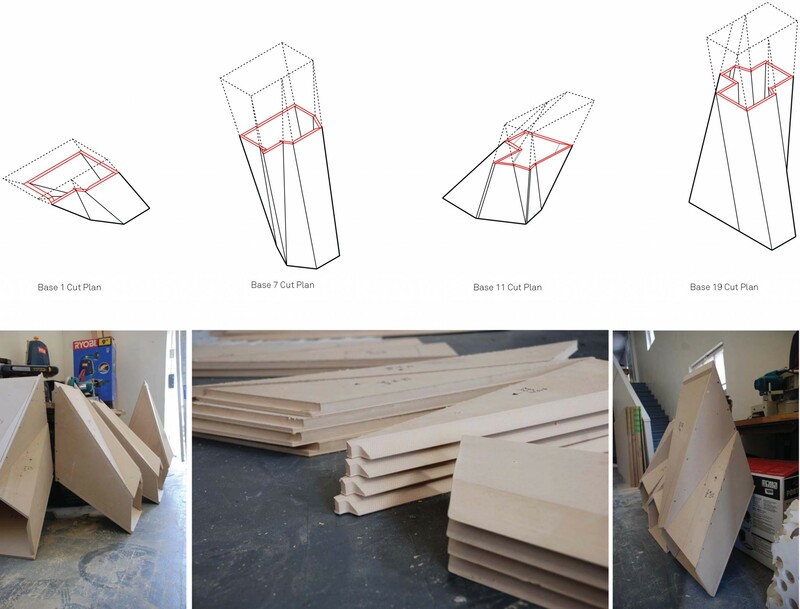 Beyond simply employing fabrication technology to concretize digital complexity, the projects identify potential architectural trajectories through newly available design techniques such as tooling and algorithmic processes.